It's incredibly modest, but it's all mine (Hubs has his own walk-in closet which is surprsingly larger than mine). I use cheap, plastic hangers from Target, and since I don't own a dresser, I hang up everything except for workout clothes, socks, and underpants. This is the standard closet configuration that came with the house. I didn't mod it out or anything. I just make do with what I have. Every inch of bar space is used, so I have to be very picky about what comes in. All in all, I'm pretty happy with it... but would I sleep in there? Probably not! What about y'all? 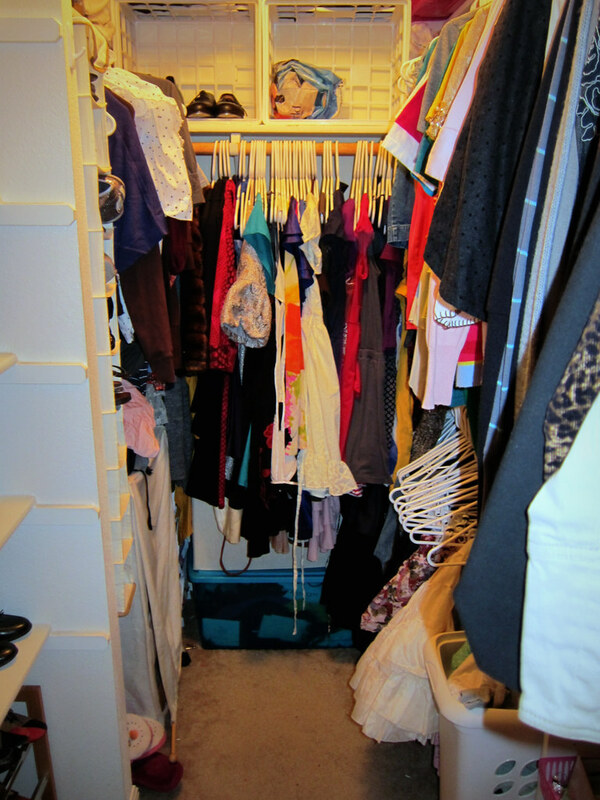 Do you love or loath your own closets?